Ya’ll know I love to workout. But what’s most important to me is that my kids see and participate in mine and my husband’s healthy lifestyle. We love to workout with them, eat healthy with them, and show them the importance of certain vitamins and minerals. We also enjoy teaching them to, as you say: TREAT YO SELF. 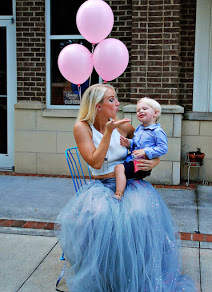 If you’re part of the #bootychallenge, make sure to check out My Life Well Loved and Nashville Lifestyles blog posts! And here is our giveaway!! Workout with them! We go hiking and running with the kids, and also involve them in our gym workouts at crossfit. Let them help cook. Hudson and Henley both enjoy helping me make our smoothies or baked goods. While we’re baking or blending I talk to them about the importance of the food we’re making and why it’s good for us. Sign them up for sports! Both are in swim lessons and are trying their own individual sports camps. We also play with them at home. I don’t eat what I don’t let them eat. Sodas? We don’t have them in the house. Juice? Only on special occasions. And desserts are the same way! I think leading by example is the best thing for them. That being said, we also enjoy going out for ice cream or having a movie night-in with pizza and popcorn. Balance, my friends. Day 1: 30 minute HIIT- Sprint/speed walk 1 min and walk slowly 1 min. Make sure this is done on a hilly surface! Day 6: STAIRS! 30 minute HIIT of stairs. You can sprint up and walk down, lunge up and walk down, bunny hop and walk down. Mix it up and burn that booty! Well said, leading by example is the best approach. I love the last picture, I know, pretty soon, your daughter will master that move. First off, your little lady is adorable. And second these pants … HEART EYES! I want and need them! You and your daughter are so cute! As parents when we practice good habits it is true that our children will follow along with us. Love this post! My 3 year old was just trying to do pushups at my son’s baseball game. I was like that’s right everybody! I work out! Aww you and your little one are so adorable! 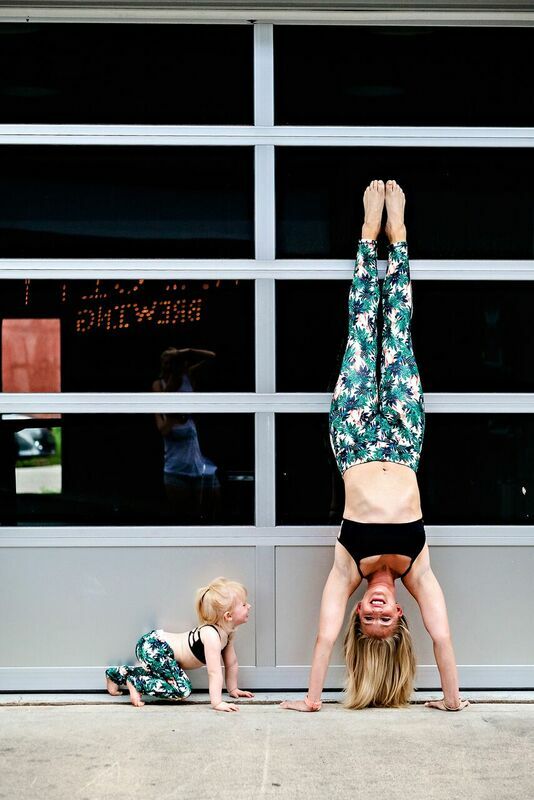 You are a wonderful Mama teaching your daughter to be healthy, strong and happy! GIRRRRRRL yes. 100% yes to this. I feel exactly the same about our lifestyle with the kids. It’s so important. I realized a couple of years ago that I needed to lead by example with my fitness and eating habits and also with the pursuit of my goals. Kids certainly show you who you really are! That’s great! How old was she when you started teaching her to workout, make food,…? My little brother will be 3 years old in the next month. Do you recommend teaching him those stuffs? What a great approach! I really need to be more active so my daughter sees it definitely fits into an everyday lifestyle.